Maybe your team lacks training. Maybe they have a wrong kind of attitude. Maybe you fail to retain your best employees. Or maybe you’ve been hiring wrong people all along. Today I’ll give you 21 Human Resource tips on how to avoid all these mistakes. Don’t hire “just anyone, who seems adequate enough”. Set out to find the best talent out there. In fact, 81% of customers are more likely to deal with you again if they found the support excellent. On the other hand, 95% will switch to another provider or fill in a complaint if they were left unsatisfied. … or only wear one brand of sneakers. Or have been doing the same kind of sports for ages. It is the steadiness you’re looking for. High turnovers are costly and take a lot of time, so hiring people who like stability and don’t job hop is a good start. It may be tempting to hire someone who is as excited about your business as you are, but don’t. You’re looking for a game master, essentially a host, who has to be people-oriented. Consider candidates with previous experience in customer support, hotel administration or event hosts. Literally propose “teach me something as if I have zero knowledge on it” and see how he/she goes. As a game master, one has to be able to explain the rules in the beginning, and debrief/provide feedback in the end. And if the candidate is not successful after all, at least you’ve learnt something new! It is important your game master knows how to react when a team fails. If your customers don’t solve the puzzle in time you still want them to leave satisfied – and it is the job of your employee to find the right strategy to cheer them up. Try giving hypothetical situations at the job interview and ask how the candidate would proceed. Download PDF find to get real scenarios of interview role plays. After all, being a good game master does require quite some skills: several languages, emotional intelligence, pleasant personality and great social skills. These people usually have several job offers on their hands. The difference between working in customer service in a telecommunication office and escape room is the average level of customer’s happiness. While to your local mobile shop you will mostly go when something is not working and you’re mad, people who come to play escape rooms are curious, motivated and ready to spend considerable amount of money on fun. Normally, after they exit the room their level of happiness boosted by adrenaline rush and feeling of accomplishment will be even higher. 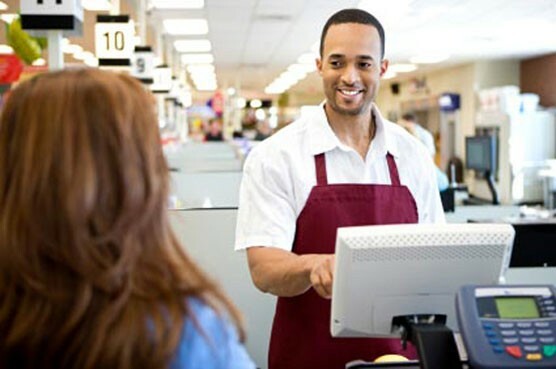 What is more rewarding for a customer service employee than an atmosphere saturated with endorphins? Escape rooms are relatively new, so there are few people with relevant experience in this industry. The industry is growing and the demand for game masters will rise. And YOU are the one who can provide the candidate with that unique, long term valuable experience. … if they’ve never tried your rooms before. Not only will they understand what customers go through, they will associate your business with fun and joy. They will be preconditioned to love their job. 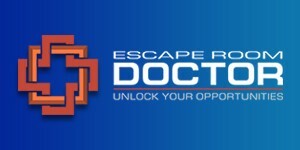 Now, you may think there isn’t a huge promotion line at escape room business. To paraphrase a famous quote – whether you think opportunities are there or not – you are right. From game master one can become a location manager, and then – who knows? – a partner to the franchise. Okay, you got your dream team together. Now what? 11: Forget the 8-hour shifts. Escape room sessions usually last an hour, so if you have 7 games today – you need your employees for ±7 hours; but if you only have 3 games – for ±3 hours. You also need people on the weekends and late shifts. First of all, if you’re not fully booked out all the time – try fluctuating workweek. This way you can have an employee on a fixed monthly salary, but he might work 20 hours this week and 40 hours next week. Should he/she do overtime, you pay 0.5x instead of 1.5x for extra hours. Another option would be to have your employees working part time and when needed, they do overtime and get paid their normal hourly rate (but only if their total work time doesn’t exceed a full working week). Target people who want and need flexible schedules. Those can be students, youngsters or people who have a passionate hobby which requires substantial time everyday. If you hire young flexible people, it is quite probable that they are into technology. And there is a reason for that – technology makes your life easier. Try one of those apps that allow you flexible scheduling and instant employee notifications. There are plenty available, but hey – I picked some for you to take a look: When I Work or Float. I can explain all the duties in one hour! Sure, it’s not rocket science. But if you’re aiming for a loyal dedicated employee, you gotta give first. Your team feels confident and content, when they know precisely what to do in any situation. People are more loyal and engaged, when they feel management actually spends time on them. You will prime your team to pay more attention to the customers – by being a role-model. Finally, training game masters is really not that difficult. Product Training – tell them everything about the facility, administration, technical side and your customer service vision – give them purpose. Shadowing – have each new hire “shadow” their mentor for some days to dig into your business. Trial – flip the script. Now let the mentor shadow the employee. The newbie gets the chance to do work autonomously. The mentor can provide feedback or jump into an issue whenever needed. After the trial you should have your hatched game master expert, ready to boost your business and take over the world! So you hired for emotional intelligence. No worries, it can be trained. Encourage your employees to spend time with people different than themselves. Starting a small talk in public transport or with a barista is a good start. Another cool idea is the stranger challenge. Maybe your staff can half-jokingly compete on the stranger challenge. Or on the amount of happy faces. But please don’t make this too serious. It’s a fun motivation booster, not a gladiator battlefield. 16: Go to your competitors for teambuilding. You do know that HR managers organize team building events in escape rooms to analyze who is better in problem solving and leadership skills and use that info for promotion? And you’ll just get so much more out of it! 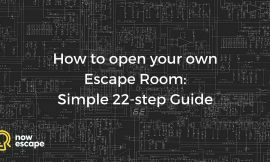 Gather your team and go to a competitor’s escape room. Next day have a half an hour meeting before the workday (bring cookies). Let your team exchange opinions. What did they like about the location? What was cool in customer service? You will probably get some business ideas and get to know your own staff better – who was more cooperative? Who was more attentive to details? Pay attention, reflect and analyze. Repeat from time to time. 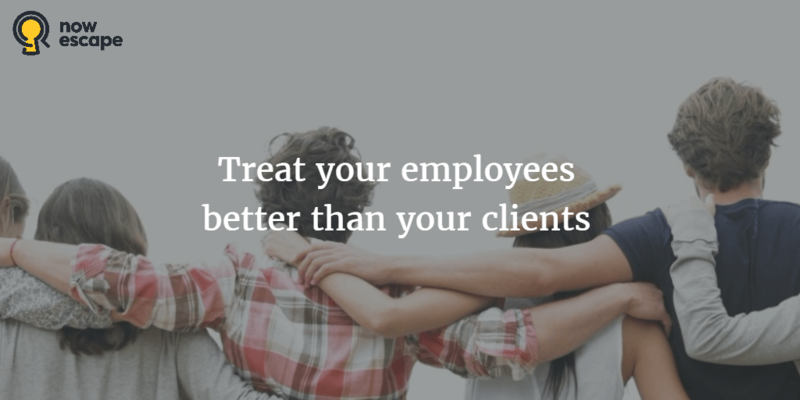 … but only to the point when you recognize your employees personally. Small staff allows you to have small chats with everyone from time to time (1-2 times a month is enough), when you can ask for feedback, concerns etc. and praise for good performance. Remember, if you get feedback – you have to react on it. Again, you’re being a role model for your staff – so if you want them to react to customer’s concern, you should do the same to your staff. 18: Be positive in your feedback. Acknowledging how your employees are doing something right is psychologically a way more effective technique than concentrating on negative issues. Sure, sometimes negativity is unavoidable. Make sure your negative to positive ratio is no more than about 1:5 – if it works for romantic relationships, it works for employer-employee as well. Placed somewhere where it is difficult to miss. 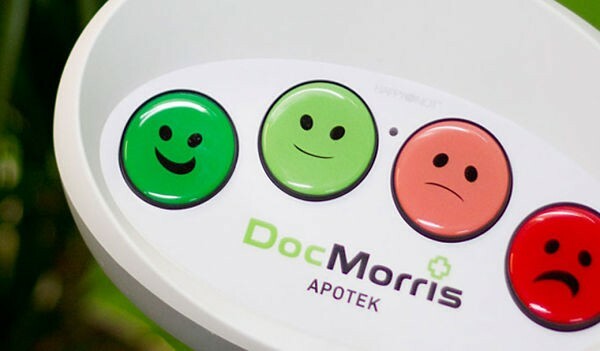 It’s a more efficient customer satisfaction survey alternative. You get continuous customer service feedback. You can monitor trends and fluctuations. Should someone hit a sad smiley, your employee can react on the spot & fix the situation. HR research reveals that People are motivated when they believe in what they do. Customer service employees do good job when they know why they are doing it. Do you have a vision and a purpose? Did you communicate it to your staff? Are they confident they represent the best escape room (in the city, in the town or in some specific aspect)? If you answered “yes” to all three of those questions – good job. It is sad when your best employee leaves. Not only because he/she was nice, but because you have to start the search all over and go through all the pain. We tend to hang out with people of similar interests and mindsets, so your team has a high chance of knowing someone who would be a great fit to the job. If an employee refers a successful candidate – reward them with a nice motivating bonus. Phew, that was a lot of theory! How about applying it on practice? To make your process of hiring easier we’ve created this pdf with a checklist and top job interview questions you should ask. Download it NOW & don’t miss your dream game master!